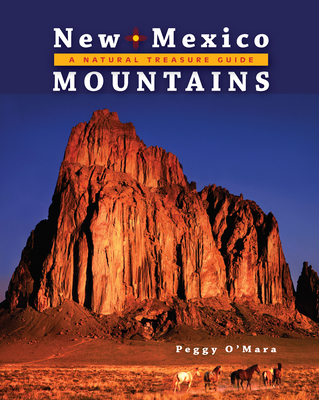 This first volume of the Natural Treasure Guide series focuses on the jewels of New Mexico's unique landscape that are hidden in plain sight: its stunning mountain ranges and peaks. With over a one hundred named mountain ranges (more than Colorado), the mountains of New Mexico are much more than hiking trails and grand vistas. For example, New Mexico has more volcanoes than anywhere else in the US. Its mountains are full of geological wonders, historical dramas, colorful characters, endangered plants, rare animals and some of the oldest rocks on earth. Nowhere else but in New Mexico will you find a mountain that was once an ocean, ancient footprints of Tyrannosaurs Rex, plant species found nowhere else in the world, the second fastest mammal on earth, sightings of Big Foot, and the oldest apple trees in the US. Here's how the book works. First, there are a series of short, informative pieces to help readers understand mountains in general and give them a vocabulary for what's to come. - What is a Mountain? - When is a Mountain a Peak? - How are Mountains Made? - How do Mountains get their Names? Twenty mountains are featured. These mountains were chosen because they have good stories to tell and are fairly well distributed throughout the state. In this book, we refer to the mountains by three names when possible: Indigenous, Spanish, and English. Visually attractive with full color throughout, including dozens of large, vivid photographs, the book is intuitively designed to allow many different points of access, and appeal to a broad range of readers, from age 12 and up. Peggy O'Mara is the editor and publisher of peggyomara.com, which focuses on natural families, healthy living, and the over-arching issues of conscious living and social justice. She was the editor and publisher of Mothering Magazine from 1980 to 2011 and founded Mothering.com in 1995. Peggy is the author of Having a Baby Naturally (Atria Books, 2007), Natural Family Living (Atria Books, 2000), The Way Back Home (Mothering, 1993), and A Quiet Place (Mothering, 2005). She has conducted workshops at Omega Institute, Esalen, La Leche League, and Bioneers, and is the recipient of the La Leche League International 2001 Alumnae Association award, the International Peace Prayer Day 2002 Woman of Peace award, the National Vaccine Information Center 2009 Courage in Journalism award, the Holistic Moms Network 2013 Lifetime Achievement Award, plus five Maggie Awards for public service journalism from the Western Publishing Association. Peggy is the mother of four and grandmother of three. She has lived at the foot of the Sangre de Cristo Mountains in Santa Fe, NM for more than 30 years.